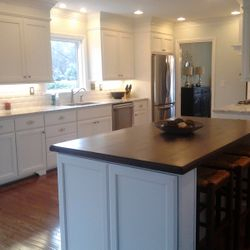 About the company: Wood Artistry & Restoration was founded in 2000 by it's owner Jeff Adams. 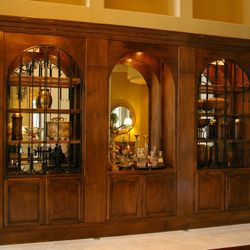 Initially, furniture building, antique restoration and general woodworking was the mainstay of the business. 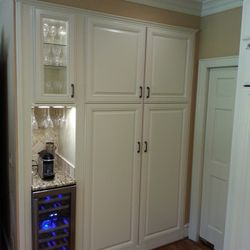 Eventually, this led to building and finishing fine custom cabinetry. 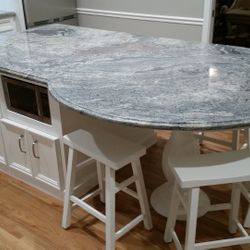 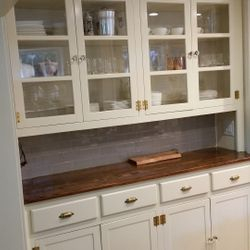 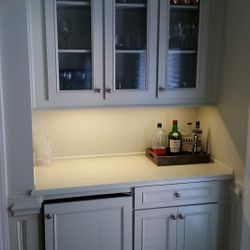 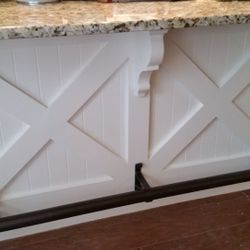 Today, the same principles are applied to refurbishing and renovating kitchen cabinets as well as custom built-ins, stand alone cabinets and islands. 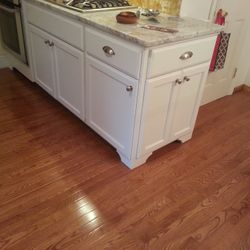 All finishes are environmentally safe, durable and beautiful. 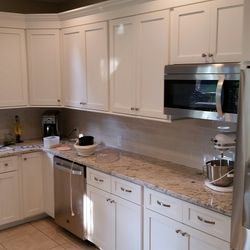 The entire team pays special attention to the details to ensure your complete satisfaction while explaining options to make your vision a reality. 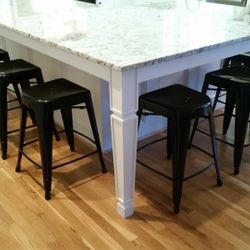 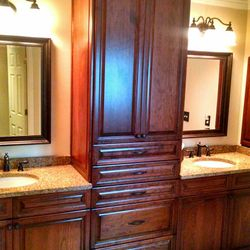 We walk you through the details of your remodel and explain the options in person. 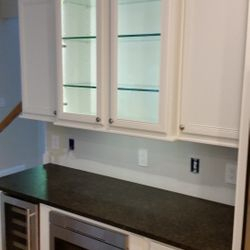 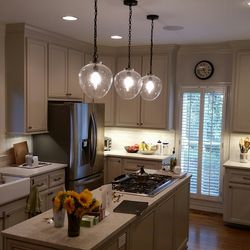 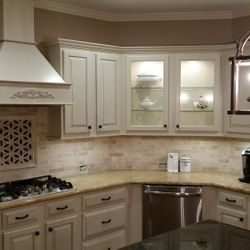 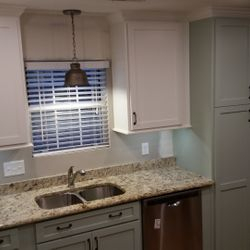 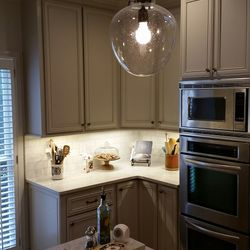 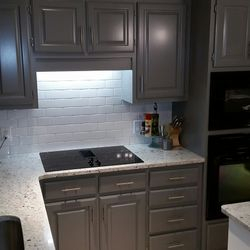 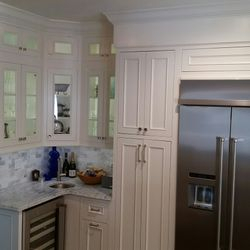 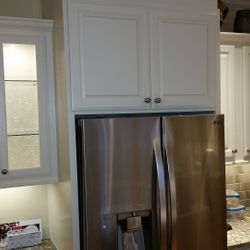 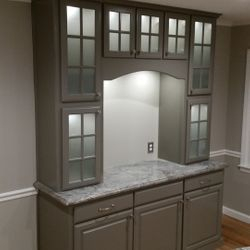 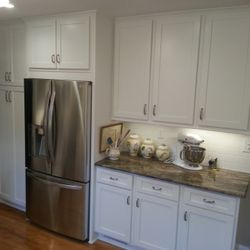 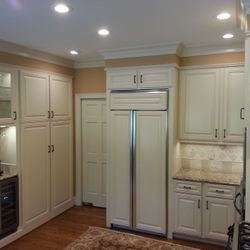 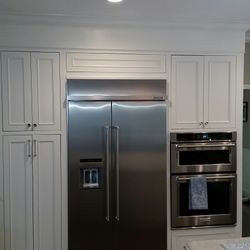 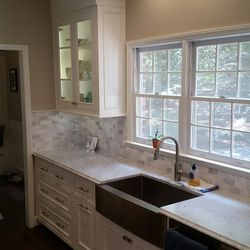 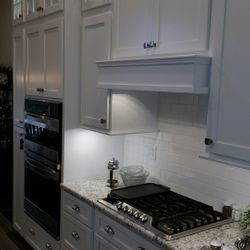 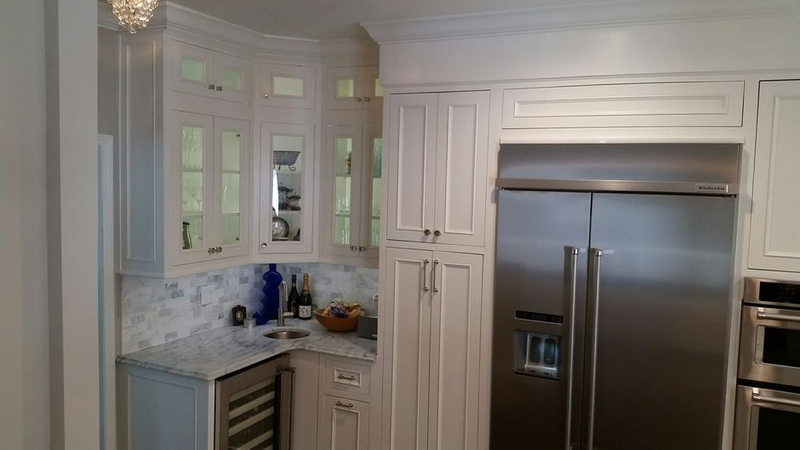 We continue to be one of the most awarded cabinet remodel providers in the metro Charlotte North Carolina and South Carolina region due to our mission to do quality workmanship using only the best materials. 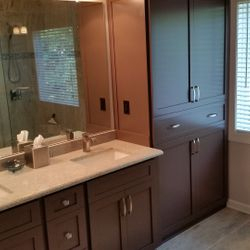 Whether it's just time to remodel for a new look or you are selling your home and need to update, let us upgrade the most important room in your home for a spectacular new look. 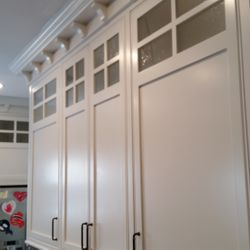 Attention to detail and excellent customer service is what Wood Artistry & Restoration strives for. 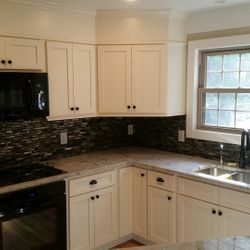 Quality work in a timely manner and at a fair price is our top priority. 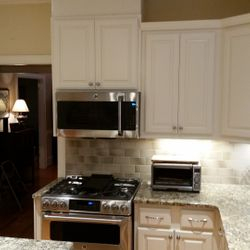 Since the majority of our work is referral-based, customer satisfaction is our goal. 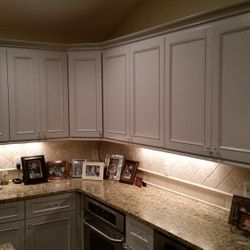 Cabinet Re-Facing / Remodeling options that will completely change the look of your kitchen or bath, many times without the expense of new cabinets. 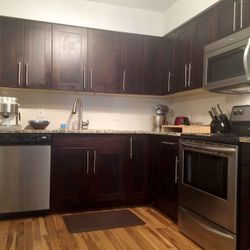 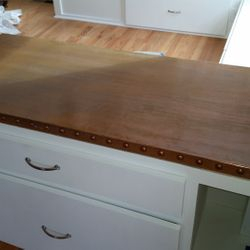 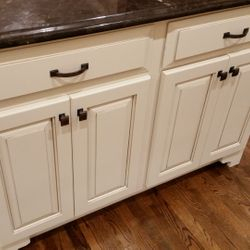 Many people are not aware that their cabinets can be re-used or refinished and look brand new! 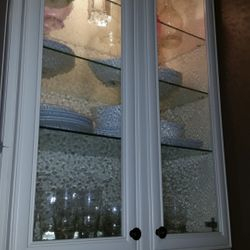 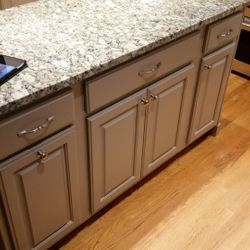 We use NO VOC environmentally friendly durable Cabinet Grade Acrylics to give you a factory finish that is as durable as it is beautiful on both the cabinets and doors. 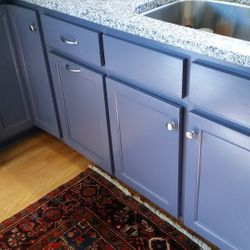 "Old" doors will look almost new again with our proprietary factory finish technique. 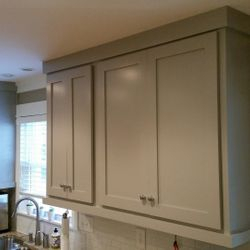 We can even coat melamine (plastic coated) doors with fresh finish to make your plain kitchen look fabulous. 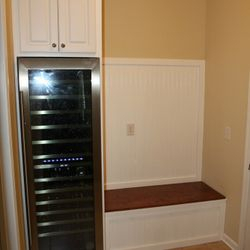 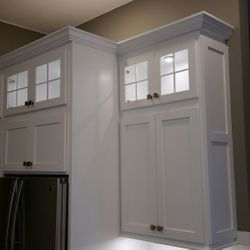 We can add trim, side panels, new molding, sliding shelves, built-in trashcans, specialty glass doors and lighting. 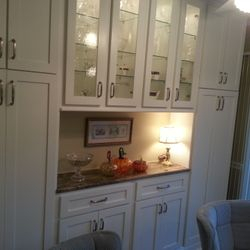 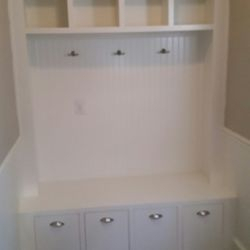 Custom Cabinets to specifically suit your needs and decor. 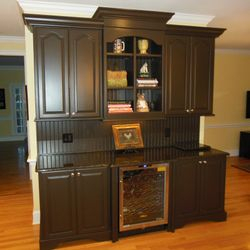 Our cabinets are made from only the best grades of cabinet materials, hardware and finishes to stand the test of time. 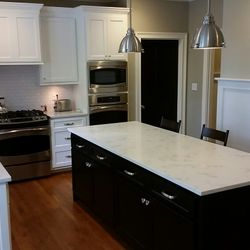 We help with design and layout at no additional cost to you. 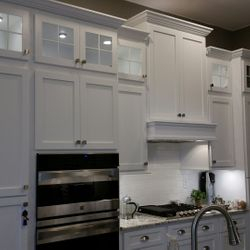 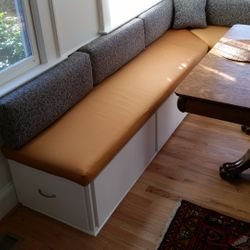 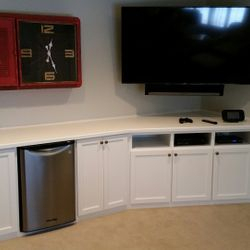 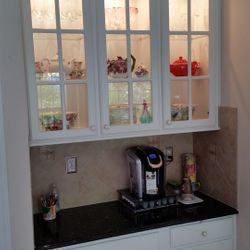 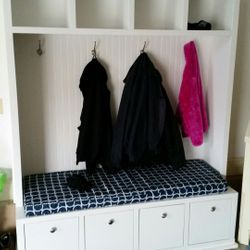 Modifications to existing cabinets into something completely different to make it more functional and desirable for you. 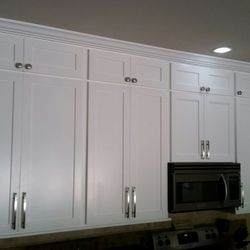 Pre-Manufactured cabinets, we carry multiple lines to fit every budget. 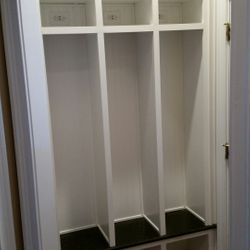 We use ONLY quality plywood box construction with solid wood faceframes. 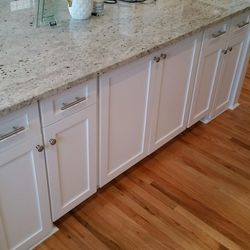 We NEVER use particle board or MDF composite materials. 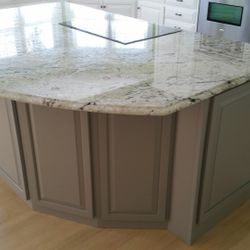 We pride ourselves for outstanding workmanship and customer service. 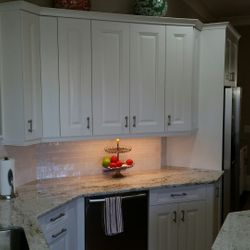 The complete portfolio is available for viewing during consultations. 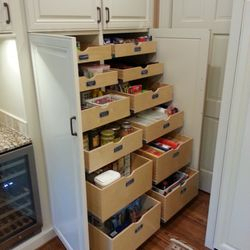 We recycle and re-use whenever possible. 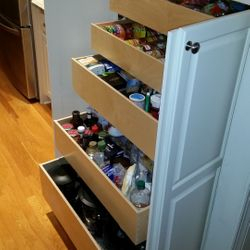 This saves money and the environment!